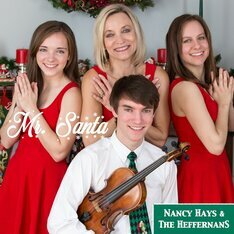 Nancy Hays & The Heffernans have recorded their own version of a familiar classic. 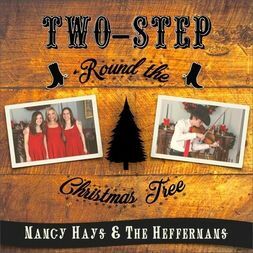 Nancy Hays and her two daughters Mary and Caroline Heffernan, sing in three part harmony and son Matthew Heffernan adds country fiddle. The music and Nancy's vocal were recorded in Nashville and the final recording was mastered and produced by Randy Gardner also in Nashville, TN. Harmony vocals were arranged by Robert Ollis. Album photography by Brett Beiner. Back up vocals were recorded by Scott Steinman at Studiomedia Recording Studios in Evanston, IL. 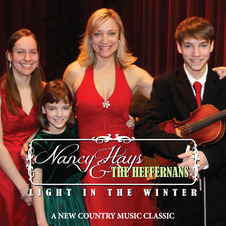 Nancy Hays & The Heffernans have recorded a holiday version of a familiar classic. 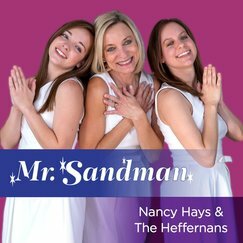 Nancy Hays and her two daughters Mary and Caroline Heffernan, sing in three part harmony and son Matthew Heffernan adds country fiddle. The music and Nancy's vocal were recorded in Nashville and the final recording was mastered and produced by Randy Gardner also in Nashville, TN. Harmony vocals were arranged by Robert Ollis. Choreography for the YouTube/Music video was created by Matthew Crowle of Chicago. Album photography by Brett Beiner. Additional music production by Steve Rashid at Woodside Avenue Music in Evanston, IL. Digital download available in Line Dance Version or Radio Version for only 99 cents.Also available as in CD format with step sheet included ($7.00 plus shipping charges). Click here to read an interview with Nancy by CMA 2006 Personality of the Year, Kevin Richards, about the making of this Album!